The party’s off the hook, but not the budget. Great birthday parties start with great ideas. 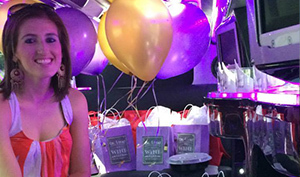 Consider booking a limousine, party bus, stretch hummer or classic town car for your next birthday bash. Book your ride online or on the go. The cake is optional! Limo pick you up at your residence. Make a quick stop at Chocolate World and take a ride on the free chocolate tour.